Recouped investment on first day! Saved over £30K in waste disposal and procurement costs. St Andrews is ranked as the third best university in the UK by the Guardian University Guide 2015. It is ranked fourth by the Times Good University Guide 2014 and the Complete University Guide 2015. Like most large organisations, due to space and time pressures only a small number of resources at St Andrews were being reused within the University or deployed to local schools or charities for reuse and/or refurbishment. The Environment Officer at the University of St Andrew’s, Barbara Aitken, was keen to change this. St Andrews University have a small store, but rely mainly on the direct transfer of assets from old to new owner. Talking to other staff it was reported that this practice of disposing of items rather than reusing and redeploying them within the University, was due in part to an underused message-board style system to advertise furniture for reuse, a lack of storage space and there being no formal re-use policy in place. As is demonstrated with the message board system, The Estates team recognises the potential environmental and financial benefits to the University of reuse and re-deploying valuable resources within the organisation. As well as the opportunity to demonstrate corporate social responsibility by supporting local schools and charities, so we were keen to find a better solution. 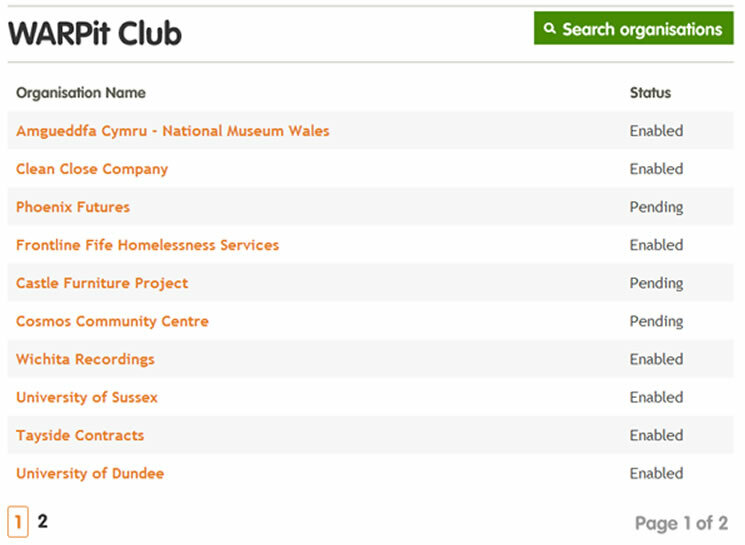 St Andrews have a strong ethic of supporting local 3rd sector organisations. The introduction of Warp it required no changes to, or additional, infrastructure such as vehicles and containers, and was easily integrated by the University into existing estates management systems and procedures. However, initial challenges were encountered in gaining support from senior management for the upfront financial outlay for access to the tool. After trailing the system we found we hit return on investment in the first day. St Andrews' current Key Performance Indicators (KPIs). The system is used for any unwanted resource for example, furniture, electrical items, specialist items (such as engineering, medical research and lab equipment), fixtures and fittings and office consumables such as unused inkjet cartridges, stationery etc. The system provides management reports so that the University can monitor carbon dioxide (CO2) and financial and staff time savings, as well as how much waste has been diverted from landfill. This function can be useful to assist with reporting requirements as well as gaining further support from senior management and staff, through demonstrating the quantified savings of any planned re-use activities. Total savings broken down into time, waste and procurement costs. I see the the Warp it tool as a very effective stock-control system, much like an asset register, so that the University is better able to manage its resource use and waste. 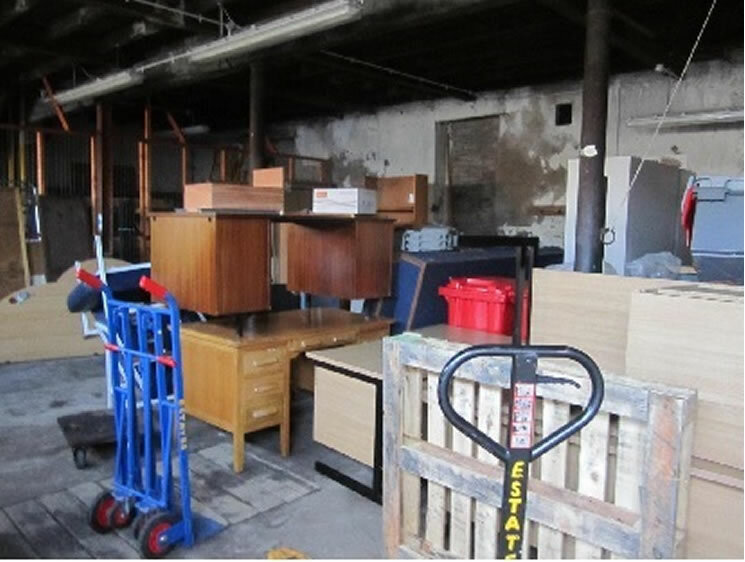 By integrating re-use into the University’s waste and procurement policies and using Warp it as a comprehensive asset tracking tool, furniture procurement activities can be more closely linked with departmental refurbishments to further reduce waste.